Mike Taddeo of the ACX Audio QA team joins us today to discuss REAPER, a digital audio workstation (DAW) that many audiobook producers find to be a solid, cost-effective solution for audiobook recording, editing, and post-production. As technology continues to democratize home recording, audiobook producers are presented with more options for processing audio than ever before. While some advanced production platforms cater more to music than narration, other simple editors leave much to be desired when it comes to post-production. How can you decide which DAW is right for you? 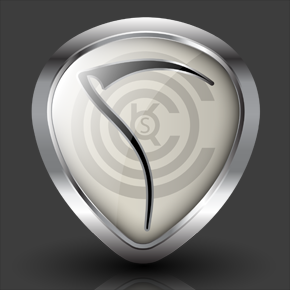 Whether you’re new to narration or looking to up your game, we find Cocko’s REAPER to be a fine balance of the two. Featuring a customizable interface, REAPER allows you to set up a session view to best fit your workflow and find all the tools needed to produce a high-quality audiobook. For more information on using these tools & effects, be sure to check out our recent episode of Q&A with QA titled, Mastering with Effects Processing. The first step in maximizing your efficiency is to set up your session to meet your needs. REAPER’s default settings include a timeline set to bars/beats, and a metronome and grid lines to sync music to a tempo—tools you won’t need for audiobook production—so you can simplify your workspace by hiding these and other unnecessary features from view. If you are only dealing with a single audio source, you may also want to hide the mixer view so you have more space to zoom in on the wave form when editing your files. REAPER comes stocked with several tools that can help you meet specific ACX Audio Submission Requirements. Increasing the playback rate is a great way to quickly review a recorded script for accuracy to ensure the manuscript matches the recorded audio. This is called audiobook QC, and you’ll perform this step after you edit your raw audio files. In the ‘Rate’ menu, be sure to select: “Preserve pitch in audio items when changing master playrate,” which will prevent your voice from increasing in pitch and sounding like a chipmunk during playback! ACX requires each file to have between 0.5 and 1 second of room tone at the beginning, and between 1 and 5 seconds at the end. This spacing clearly signals to the listener that a chapter has ended and gives them a moment to catch their breath when a chapter ends on a dramatic note. REAPER’s ‘nudge’ tool makes it easy to double-check that your files meet the spacing requirement by lining up all of your files at the same starting or ending point so you can easily see if there is too much space on either end. While your files are lined up, you can also check for any extraneous noises at the beginning and end of each file. You can also add clean room tone and short fade-ins and fade-outs to all of your files at once. The term “normalize” can mean different things depending on which DAW you’re using, the normalize function automatically increases the level of your audio until it is peaking at 0dB, causing it to digitally distort “in the red” and fail QA review. You can use the SWS extension action item (Xenakios/SWS: Normalize selected takes to dB value…) to input the peak level you’d like your files normalized to—we recommend -3dB (peak) to keep the peak level at the maximum level permitted by ACX. ACX requires audio files to measure between -23dB and -18dB RMS, with a maximum peak level of -3dB, which can sometimes be difficult for the naked eye (and ear) to discern. The SWS Extension includes a reliable Peak and RMS analyzing tool (SWS: Analyze and display item peak and RMS) that can provide a quick reading of your files to ensure your levels meet ACX requirements. When you’re ready to export your finished audio out of REAPER, there are two options: “render” and “batch file/item converter.” Either function is capable of quickly converting your WAV files to MP3, and each allows you to save an encoder profile. The Render function is typically used to export an audio item as it appears on the timeline. This will be a good choice if you are exporting your files out of REAPER one at a time. The Batch file/item converter allows you to add individual items from your timeline, or select files from a folder on your computer to encode all at once with the same encoding profile. We recommend saving your settings to encode to 192kbps or higher 44.1kHz MP3, Constant Bit Rate (CBR) in keeping with ACX’s requirements. When using REAPER as your DAW, we recommend downloading the free compatible plug-in suite SWS Extension as well, which includes all the effects plug-ins you’ll need to produce a top-quality audiobook. . Find yourself using the same effects often? You can save these as favorites, organize your own folders, and save plug-in chains and custom presets to streamline your workflow. One of our favorite plug-ins in this extension is ReaEQ, which gives a visual representation of how the audio source is displayed across the frequency spectrum, making it a great tool for learning the art of equalizing. Spend time with the different filter types, cutting and boosting different frequency bands to hear how each affects the quality of your voice. We also love ReaComp, an easy-to-use compression tool that keeps the dynamic range of your recording in check and adds fullness to your production. Once you’ve set your project session to fit your personal workflow, you can save your custom settings in a project template so you won’t have to set up your DAW each time you begin a new project, saving you time and ensuring consistency throughout your productions. Interested in finding out if REAPER is the right DAW for you? You can download a full version of REAPER to use for free for up to 60 days. After the evaluation period, users are required to purchase an individual use license for $60. Already using REAPER to produce for ACX? 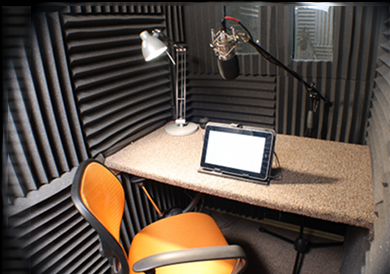 Leave a comment to let us know how you customize your setup for audiobook production! Today, we’re wrapping up our continuing series on home studio setup with a look at studio construction. We’ve polled ACX users who’ve set up home or professional studios, as well as members of the Audible Studios teams for their expert tips on constructing your own studio (and managing your time and work once you’re up and running!). ACX: What did you learn from setting up your own studio? Peter A. Rohan: I learned that it’s important to know my enemy. In this instance, I had two. The first was an unacceptable amount of noise when I recorded (aka a high noise floor), and the second was excessive room reflection. I had too many reflective surfaces, the sound waves were bouncing off of every wall, and my New York City apartment was too noisy to record in. After a lot of trial and error (and money spent), I chose to build my own vocal booth. Brick Shop Audiobooks: It’s important to establish your budget and do your best not to go over that. You need to be focused on your art, not your credit card bills. Peter A. Rohan: Right. With minimal construction skills and a much lower budget, I was able to construct a vocal booth that gave me much better results than any of the available pre-fabricated options. The most important decision I made was to build it myself. My initial investment was about one-fifth the price of the cheapest sound booth that I could find for purchase. ACX: What advice do you have for an actor looking to set up a home studio? Darren Vermaas, Audible Studios Post-Production Associate: Treat your recording space. A lot of people think they simply set up a microphone and go. In reality, no matter how nice your microphone, preamp, and DAW are, and how fantastic your voice sounds, it will all go downhill if your room does not have some treatment. That means putting up some sort of sound absorbing materials to stop room reverberation and early reflections. When someone listens back to your audio, you don’t want them to be able to visualize the room you’re sitting in. Treating a room can be as simple as hanging up a bunch of packing blankets and creating a makeshift vocal booth, or as extreme as purchasing professional, application specific sound absorbing panels. There are also products like this Reflexion Filter that will do a lot to minimize sound reflection. Rob Granniss, Brick Shop Audiobooks: Agreed. You’ve got to start with treating your space. There’s no point in getting high-end audio equipment that can hear a pin drop if you have 18 wheelers passing by every 5 minutes. Some of my favorite cost-effective treatments are bookshelves loaded with books, which provide a great refraction pattern and nice dense absorption; hanging moving blankets; and raising the floor if necessary with tires (lay them flat – think of a box of a dozen donuts to visualize it) with some kind of wood flooring on top. It may be hideous on the outside, but draping the blankets on top and making a “door” with the blankets can close you off pretty well and is a good place to start. ACX: What about once a studio is up and running? How can actors set themselves up for success? Brick Shop Audiobooks: We found that it’s important to grow naturally. We started with 1 or 2 books a month, working nights and weekends on projects. When we began getting more work, we took time off our day jobs and then eventually moved into a dedicated space. 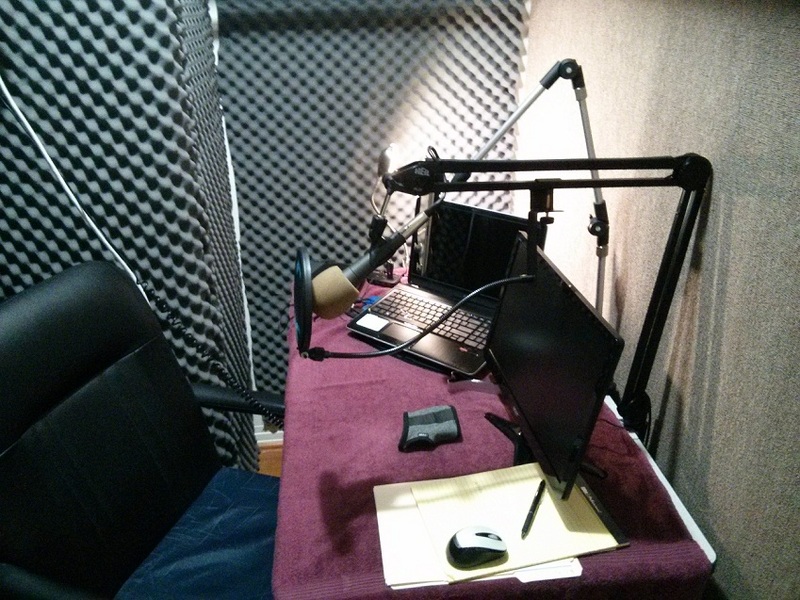 We’ve been constructing more recording booths and editing stations as our production has increased. Staggering it out as we have, we didn’t end up with a large debt hanging over us during the beginning by borrowing a lot from a bank and working just to pay interest. Darren Vermaas: Distractions are a work killer! Working out of your home is convenient, but can also be a huge distraction. If you can get out of your areas of distraction, you will get a lot more done. Disconnect your WiFi if you don’t need it while you work. Facebook will be there when you’re done recording. Don’t edit on a comfy couch because if you’re like me, you’ll want to take a quick 15 minute nap and get back to it later. Last but not least, don’t wait until the last minute. You’re your own boss so there is less pressure, but don’t take advantage of your own time. Brick Shop Audiobooks: Another lesson is that audiobook production, as all businesses, is about people and communicating respectfully. Much of our day is filled with correspondence to make sure authors, narrators, and our engineers know what’s happening in production, and that their needs, whether artistic or schedule-related, are being addressed. The more attention you pay to this, the fewer problems you’ll deal with later down the line. ACX: Thanks for the killer advice, folks! Have you set up your own studio? What did you learn in the process? If you’re a regular reader of the ACX blog, you know we’ve been working our way through the list of items you’ll need for a professional sounding home recording studio. But what about the setup of the studio itself? Over the next few posts, we’ll be joined by expert and prolific producers from Audible Studios and ACX, who’ll offer their tips for the essential elements of home studio construction. Today, we talk to ACX engineers, an author who built a home studio to narrate his own books, and our own Audible Studios staff about the importance of using high quality equipment and working with the noisy quirks of your unique recording space. ACX: In your opinion, what are the most important elements of home studio construction? Peter A. Rohan, ACX Producer: You’ve got to start with the right equipment. Use a “quiet” mic that gives you the best frequency results for your voice. Choose an interface with a good preamp that provides quality analog to digital (a/d) and digital to analog (d/a) conversion and that will not introduce a lot of noise. 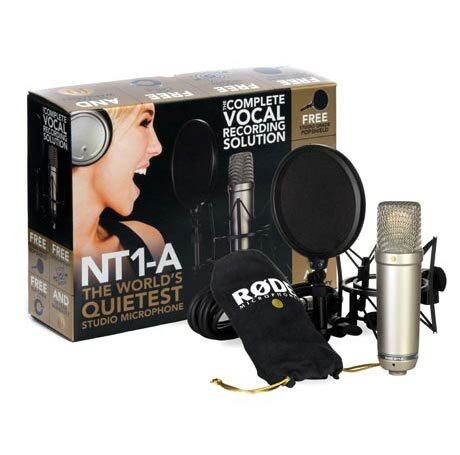 A budget mic and inferior interface can introduce an amount of noise and contribute to your overall noise floor. I found that out the hard way, after exhausting all my energies in soundproofing and absorption only to find that it was the cheap mic that I was using that was generating most of my noise floor. Darren Vermaas, Audible Studios Post-Production Associate: Definately don’t skimp on the equipment. Using proper gear in the first steps of recording is going to make your life a lot easier in the end. Besides saving you time in post-production editing out noises and trying to figure out how to bring your overall noise floor down, it will simply make your book sound more professional. 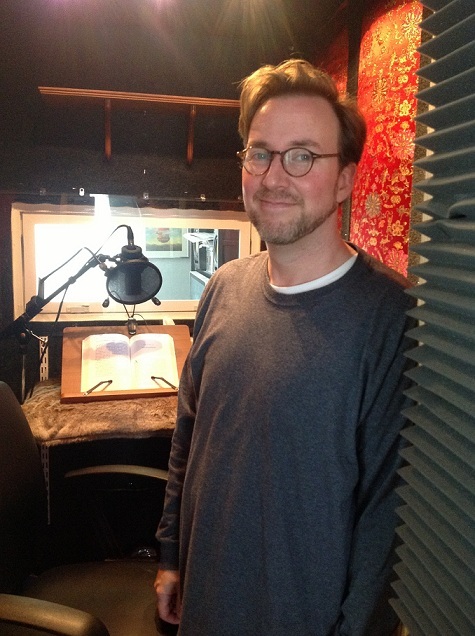 Rob Granniss, Brick Shop Audiobooks: Get as good a mic, headphones, preamp and DAW as you can. Then get to know them as well as you can. Compare them with every other reference possible, including your laptop speakers, your cellphone, your audio geek friend’s sound system, etc. Listen to the same source material on each and note differences. Listen to your own recordings on those sources, as well as professionally produced recordings (voice as well as music if you’d like). The comparison isn’t to find what you like or what is “true” but rather to find what’s missing or is too enhanced about your own setup. Peter: Also, be wary of cooling fans and keep them away from your mic. Avoid recording with your laptop near the microphone or anything else with a cooling fan that turns on and off as the temperature fluctuates. Darren: Get away from noises. That ticking clock, running refrigerator, dogs barking outside your window at the loud trucks driving by, and (of course) that fan running in your computer are all potential hazards. These are all real things I’ve heard come through in recordings here. The last example is one of the most important to consider. You will discover a lot of things about your room while you’re setting up a home studio. Noises you’ve never paid mind to are going to start jumping out, and you’ll have to figure out how to deal with them. When I needed to record vocals in my noisy 5 story apartment building with window AC units, you could find me hanging packing blankets and winter coats in my closet, positioning a microphone in there, and sweating it out while recording to make sure it sounded good. Not glamorous, and not comfortable, but it did sound good! Without a doubt the single best thing I did was to read and study the information on ACX about what is involved in the process of setting up a home studio. I found that information practical and concise and used it as a blueprint each step along the way. I supplemented the ACX material by watching YouTube videos about the construction of home studios. In addition to watching videos, I read blogs and bought several books that provided more in depth discussions of audio production and equipment. From these books I was able to determine which equipment was essential for my purposes and which optional. I also learned that it wasn’t necessary to buy the most expensive equipment available because there are economical ways to build a studio capable of producing first-rate audio without skimping. Check back with us next week for more for more expert discussion on home studio setup! What do you think is the most important aspect of building a home studio? Welcome to the third part of our popular Studio Gear series. Part 1 focused on microphones and preamps, and part 2 laid out many popular options for the recording and editing software known as DAWs. Today, we’ll discuss the finer points of headphones, and the importance of a sold pair (or pairs!) to the finished sound of your ACX audiobook productions. It is imperative that you use headphones when editing and mastering your audiobooks. Your studio may have excellent speakers, but you’ll need a decent set of headphones to pick up on the small noises and and finer points of your production that may need editing. A headphone is an electromagnetic transducer designed to be worn on the human head for the purpose of audio listening/monitoring, and as distinct from an earphone, or system worn in the ear. They are usually based on the principle of electromagnetic induction used to convert the electrical energy output of a headphone amplifier into acoustic energy, or sound. When it comes to recording and editing audiobooks, there are two main uses for headphones. When narrating, it is ideal for narrators to use open or semi-open headphones, so the actor can hear themselves well. When editing, however, isolation is key so that clicks and other unwanted noises can be heard. If your budget allows, you may want to invest in a pair of open headphones for recording and a pair of in-ear monitors for editing and mastering. But don’t worry, we’ve got suggestions for those not ready to make that kind of investment below. ACX Production Coordinator Andrew Grathwohl joins us to offer his headphone recommendations for audiobook production newbies and those looking for a top of the line setup. 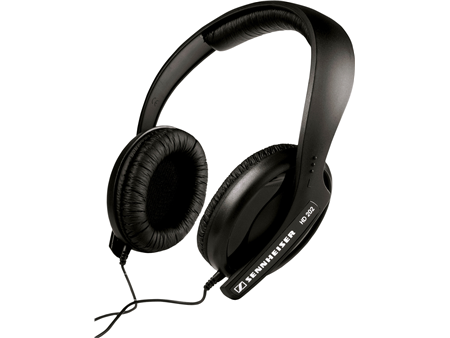 Senheiser HD 202 II – These are great headphones for editing and narrating on a budget. AKG K 240 – The most beloved vocal monitor headphones in the industry. 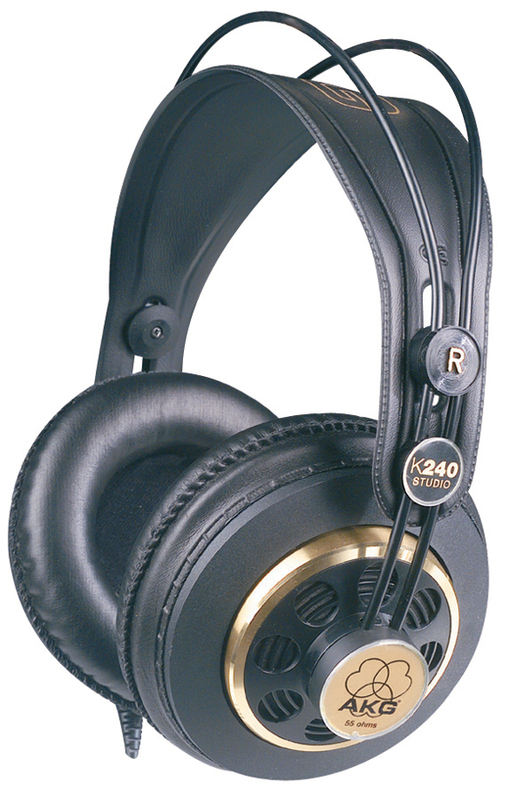 The K 240 headphones by AKG are the standard headphones used by vocalists in professional studios. You can’t go wrong with these for editing nor for narrating! 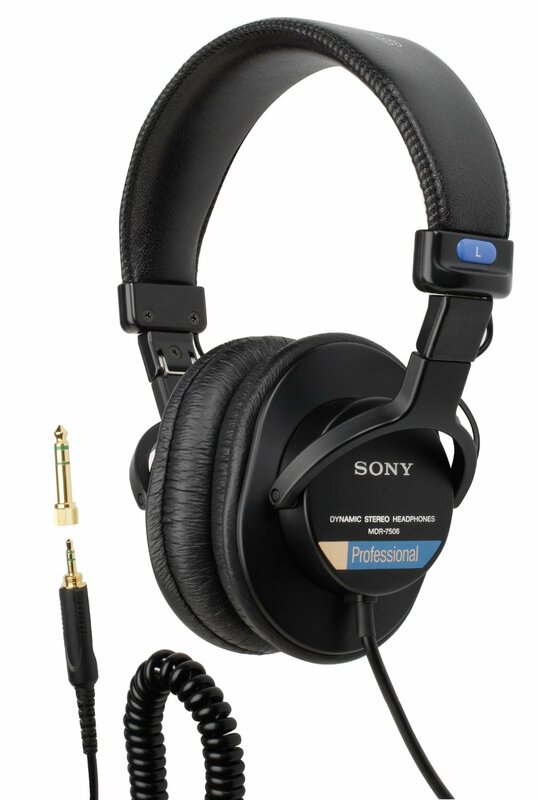 Sony MDR7506 – Another reasonable choice for recording and editing, these headphones are the standard here at Audible. 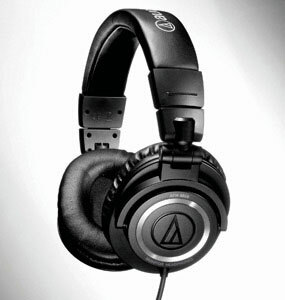 Audio-Technica ATH-M50 – An excellent closed-cup headphone that excels in vocal editing scenarios. Shure SE535-V – Achieve the highest quality sound and isolation possible with these Shure in-ear-monitor​s. Though the price tag is high, these headphones are durable and will last a lifetime. Now that you’ve got some options, picking the right headphones for your budget should be easy. Your ears, and the ears of your listeners, will be thankful! Which headphones are you using in your studio? We’re back with the next entry in our ACX Studio Gear series! We covered microphones and preamps in part 1, and today we’ll get into the recording software that you’ll use in conjunction with that hardware, as well as provide the pros and cons of some of the most popular options. [DAWs] are typically defined as having some ability to record, manipulate, and play back audio recordings or samples. In their early days DAWs were primarily considered editing stations. Material was taken from the primary recording media (usually tape) and dumped into one of these systems for editing, and then returned to the original media for the remainder of the project. Nowadays DAW’s can act as an entire recording studio with all mixing, processing, and mastering on one computer. There are many DAWs available for purchase, and choosing the right one can feel overwhelming. It’s important to remember that many of these programs are created with music recording in mind, and you likely won’t need all the bells and whistles for your voiceover work. The most important aspect of a DAW is that it is easy and efficient to use. It is wise to avoid any software that will eat away at your productivity. It’s also important to pick software with your workflow in mind. Some programs offer a lot of flexibility at the expense of ease of use, and others offer a straight-forward user experience at the expense of customization. If you’re the kind of person that likes to learn all of the shortcut keys to your programs and customize the layout of the various windows, you will likely prefer a different DAW than a person who likes a more intuitive experience. Free to those who own Mac. The interface is easy to learn and use. Doesn’t include any of the tools you’ll need to master your recordings (a requirement for ACX). Unlike some of the other DAWs we cover below, you can’t download any plugins to get around this. Available for Mac OS X and Windows. Open source, so any software programmer can modify and improve the program for future versions. Easy to lean and use (here’s a free, comprehensive online tutorial). Doesn’t come with the ability to master your audio, though you can download VST plugins to get around this (see the bottom of this post for recommended plugins). Does not have the ability to measure RMS values or peaks. Saves files in .aup format, so you’ll need an encoder (like LAME) to convert to .mp3 format (another ACX requirement). The Verdict: Decent basic software that will get the job done. Good for those on a very tight budget who are willing to do a little more work to get results. Low price ($60-$225, depending on which license you qualify for). Free, “no risk” evaluation period. Known for having a robust user community to support newbies and those who run into trouble. Comprehensive program with many options that can be overwhelming for beginners. Lack of dedicated audio editing window. Some design choices have been omitted, requiring users to try out the interface customization process whether they want to or not. The Verdict: Reaper is a good, powerful, well priced option for audiobook recording. Their forums can be a great help for those new to self recording, editing and post production. Fully capable DAW available for both Windows and Mac OS X. The newest version is now a 64-bit application, which can mean faster processing. Includes 20GB of cloud based storage. You do not own a copy of Audition; $19.99/month only buys you a license to use the software for that month. Your monthly payments will eventually eclipse the one time fee you would pay for other software on this list. You have to depend on Adobe’s pricing policy; with other software you can choose not to upgrade if the cost is too high – you can work with your older version for many years. Creative Cloud requires you to pay for the subscription no matter how high the price rises. The Verdict: The software itself will surely meet your audiobook production needs. The way you feel about Adobe Creative Cloud will determine if this DAW is right for you. Has all of the tools needed to master your audio, as well as perhaps the best noise reduction tool of any DAW on this list. Allows for batch processing of files, which will save you time and effort when mastering. Allows you to set custom keyboard commands. User friendly and easy to learn (includes numerous “show me how” tutorials). Mac version doesn’t include some of the most useful feature of the PC version (batch processing, customizable commands). Uses a large amount of system resources. At $400, it’s one of the most expensive DAWs on this list. The Verdict: This software is user friendly and powerful, as long as you’re not on a Mac. 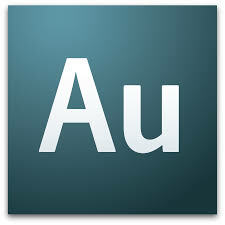 Many of Audible Studios’ in-house editors use this to edit and master audiobooks. A good choice, if you can afford it. Among the most stable DAWs available. Versatile license (can be installed on any number of different computers with only one license). Fairly complicated to use and not recommended for newbies. Uses a large amount of system resources, so a powerful computer is required. Tends to work best when paired with other high end audio hardware. Expensive – new licenses cost $500. The Verdict: A very powerful piece of software that, due to the price and learning curve, is best suited for seasoned pros. 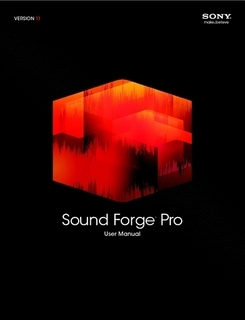 A powerful DAW that will work with Windows and Mac OS X. 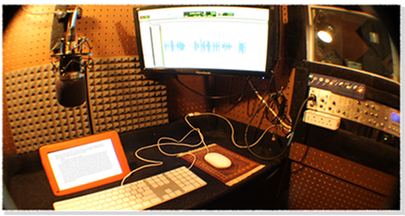 Capable of meeting all of your audiobook recording, editing and post production needs. Comes bundled with an Mbox, which will act as your preamp and audio interface. 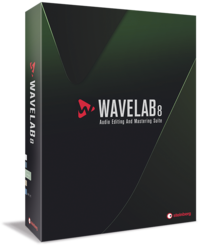 Includes nearly all of the plugins needed to master your recordings. ProTools Express doesn’t come with all the plugins you’ll need, specifically a brick wall limiter and noise reduction (though the full, more expensive version does). One of the more expensive options on this list, though it does include the Mbox. The availability of many different versions of ProTools may confuse users when making a purchase. 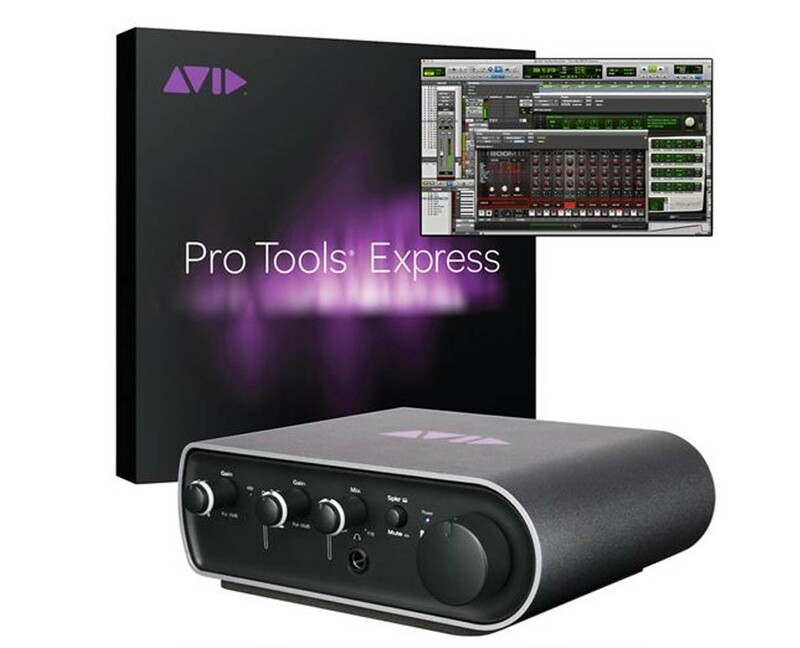 The Verdict: The linked Mbox and ProTools Express is, at $499, a good deal for someone setting up a studio who is in need of both a DAW and a preamp/interface. Audio Damage Rough Rider Compressor – Has everything you need in a compressor, and it’s free! Mac and PC versions available. Now that we’ve provided a roundup of some of the most popular options, you can make an informed decision as to which best fits your budget and needs. Keep your eyes peeled for part 3 in our series, which will cover home studio setup, coming soon! What’s your DAW of choice? Why? Today kicks off a new series for the ACX blog: studio gear. Over the next few posts, we’ll cover one of your most discussed topics and provide some guidance for the audio recording newbie, those with some experience, and the seasoned pro. Let’s kick things off where the magic starts – microphones and mic preamps. Mics and preamps are the first pieces of equipment that will pick up and process the sound of your voice. Remember, any piece of studio equipment you buy is meant to capture the true sound of your voice in your recording space, so don’t buy an expensive microphone to improve or compensate for the sound quality in the room. We’ll cover how to get great room sound in a future post. A microphone is a transducer, or instrument whereby sound waves are caused to generate or modulate an electric current, usually for the purpose of transmitting or recording sound. In all microphones, sound waves are translated into mechanical vibrations in a thin, flexible diaphragm. These vibrations are then converted by various methods into an electrical signal. A preamp is a type of amplifier specifically designed to amplify very weak signals before they are fed to subsequent gain stages or devices. Preamps are commonly used to bring things like the output of microphones up to a level where more equipment can work with the signal. Preamps are called upon to deliver extremely high amounts of gain while introducing very low amounts of noise and distortion. Now that you have a good understanding of what a microphone and preamp do, it’s time to figure out which equipment is right for you. The first factor you’ll consider will likely be price, so we’ll start with the cheapest options and work our way up to the most expensive. But first, a quick word on USB mics: we recommend you steer clear. They are often the cheapest option, but there’s a reason for that. By and large, USB mics will not offer the sound quality you need to deliver professional sounding, retail ready audiobooks. These types of mics can introduce hum and delay into your recording chain, necessitating various “fixes” during post production. They are less expensive because they are manufactured with cheaper parts. Cheaper parts are more prone to breaking. They will also generally be noisier, especially when combining a cheaper microphone with a cheaper preamp. On the plus side, these preamps both have I/O connectivity to a computer and serve as an interface with a DAW as well as preamp. On the other hand, all of the preamps below will require a seperate audio interface (such as an Avid Mbox or M-Audio M-Track) in order to communicate with your DAW. Hey, that doesn’t sound half bad. Now that you have a variety of products to choose from, all that remains is to select the price range that best fits your budget and experience level. When comparing equipment, read users reviews and get the opinions of your peers. Whichever you choose, all of these options should set you up for success in your audiobook recording career. Which microphone/preamp combo do you use in your studio?